Ipe is a brazilian hardwood having benefits that make it the world’s premier decking material. 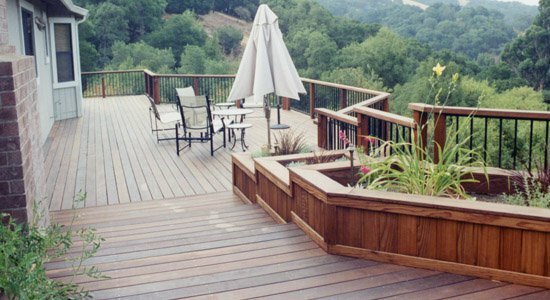 With genuine beauty and durability, your ipe deck will stand up against harsh climates and resist problems such as insect damage, mold, & decay. Ipe is a deep brown color and is also know as Brazilian Walnut. Ipe has beautiful grain characteristics and a fairly wide range of color from olive green and deep red-brown to chocolate, almost black.